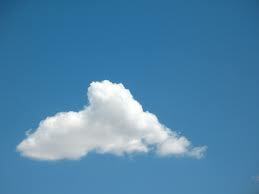 Around the Common: How much of your life is on a cloud? How much of your life is on a cloud? How much of your life is on a cloud? Have you ever considered what happens to a virtual life after someone dies? More and more we are replacing our handwritten journals with blogs, photo albums with Picasa, and love letters with emails or a post on Facebook. Many of us bank online and have chosen paperless statements to make our lives less cluttered. Our virtual world also includes a complicated array of logins and passwords designed to keep others out. Regulations governing the fate of our digital afterlives have been vague or nonexistent and estate laws have only just begun to consider the topic. Popular email providers like Gmail, Hotmail and Yahoo! Mail have notably different policies on privacy and access after death. In today’s virtual world we need to update our vision of advance planning. On Tuesday, January 29th, Heather Ahern will present “Advance Planning for Your Virtual Afterlife” at the Bridgewater Public Library. Her program will focus on what comprises your digital assets, the need for digital estate planning and a digital executor. She will also address afterlife services for your virtual world and the ever changing policies of popular online services and social media that affect your digital legacy. Heather is the owner of The Functional Home in Bridgewater, a professional organizing service working with people struggling with disorganization or seniors wishing to downsize. Since 2004 Heather has been helping people clear clutter and discover the space to do what they love. A Golden Circle member of the National Association of Professional Organizers (NAPO) and the National Association of Senior Move Managers (NASMM), she has also studied with the National Study Group on Chronic Disorganization (NSGCD). This free program will be held in the Flora T. Little Meeting Room on the lower level. There is parking in back of the library, located at 15 South Street.